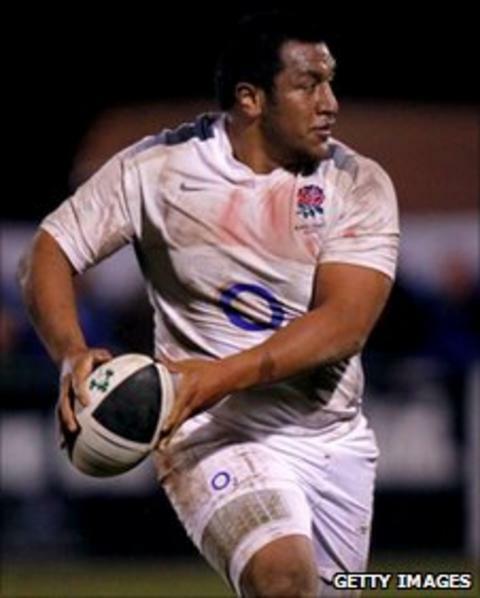 Saracens have confirmed promising Bristol youngster Mako Vunipola will join them at the end of the season. The 20-year-old prop was part of the England Under-20s side that claimed a Grand Slam at this year's Six Nations. New Zealand-born Vunipola has made 33 appearances for Bristol since coming through their academy. "I have enjoyed my time at Bristol, but the opportunity to join one of the top clubs in the country is very exciting," he told the Saracens website. "From the unity and spirit within their squad, from the unique way they look after players and families, and from the way they are developing so many young English players, everyone can see there is something very special happening at Saracens and I am looking forward to being part of it." Saracens director of rugby Mark McCall added: "Mako is already rated as one of the outstanding players of his generation, and he has been actively pursued by many Premiership clubs. "We are delighted he has chosen to join Saracens, and we look forward to helping him fulfil his immense potential, on and off the field." Vunipola, who is also capped at England Under-18 level, has scored five tries in the Championship for Bristol.